Bose V35, Samsung TV UE46D7000, Apple TV2, Satellite receiver. 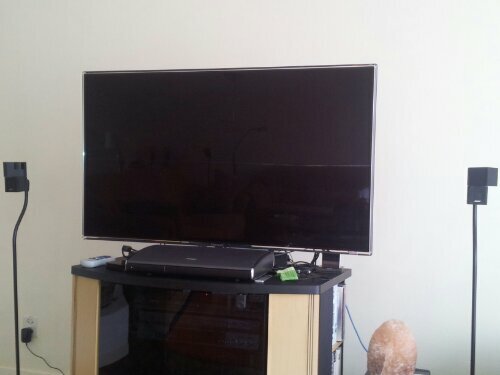 Not visible is the OpenRemote eBox hidden behind the TV. This entry was posted in Bose and tagged atv2, bose, samsung by michal. Bookmark the permalink.